MINOT, N.D. – Minot State University, along with the Minot State University Development Foundation, is pleased to announce a $4.6 million gift bequeathed by the late Janis Dislevy. This endowed gift is the largest single donation in Minot State’s history and is designated toward the Janis Ann Dislevy Endowed Chair, which will support faculty positions in the Minot State College of Business. Dislevy, who completed a bachelor’s degree at Minot State in education in 1960, passed away in June of 2016. She served on the Minot State College of Business Dean’s Advisory Board and is a member of the MSU Old Main Society. This latest gift brings the total donated by Dislevy over the past 15 years to approximately $5.3 million. She established the Janis Ann Dislevy Trust Endowed Scholarship in 2003 and the Janis Ann Dislevy Endowed Chair in 2007. 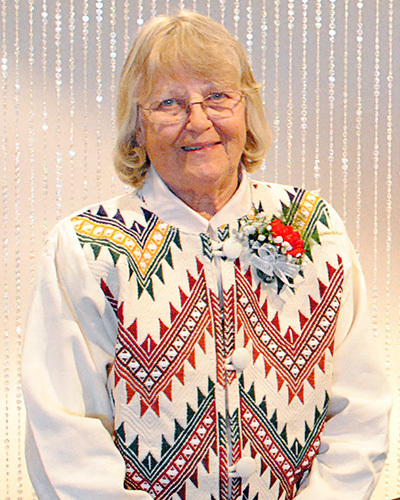 The Janis Ann Dislevy Endowed Chair was initiated to support faculty in the Minot State University College of Business. Minot State will use the earnings generated by the endowment to fund faculty positions in the College of Business. Dislevy graduated from Butte High School in 1956. After graduating from Minot State, she taught business and home economics at Drake High School for one year before moving to California. Dislevy was an adult education instructor and worked for Aerojet General Corporation before a 22-year career with the State of California working as a stenographer, secretary, accounting technician, accountant, and accounting officer. She retired from the State of California in 1999. She was a life member of the National Association of Investors Corporation and American Association of Individual Investors. She was a director with the Sacramento Area Chapter of NAIC where she held the offices of secretary and vice president. As a NAIC director, she had the opportunity to study at the New York Stock Exchange.